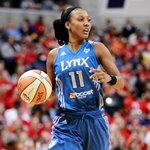 Candice Wiggins is American basketball guard for the Minnesota Lynx of the WNBA. Also she is playin for Besiktaş Cola Turka (women's basketball) Istanbul in Turkey. 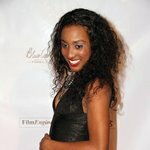 She previously played for the Stanford University women's basketball team where she is the all-time leading scorer in Stanford women's basketball history and in the Pac-10 Conference women's basketball history. 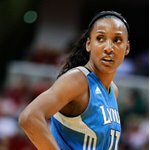 She was selected 3rd overall by the Lynx in the 2008 WNBA Draft. 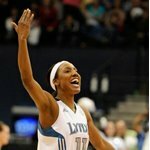 Her nickname is "Ice", an abbreviation of CandICE, and when she scores for the Lynx at their home court, the opening notes to the song Ice Ice Baby by Vanilla Ice can be heard. 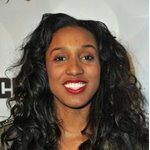 Candice Wiggins was born in Baltimore, Maryland where her father, Alan Wiggins played Major League Baseball for the Baltimore Orioles. (He also played for the San Diego Padres.) When Wiggins was 3, she was hit by a car and almost lost one of her eyes. She still has the scar under that eye. 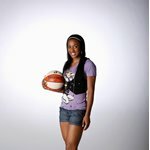 When Wiggins was in the first grade, she scored 30 points against 4th graders in basketball. By the time she was in 5th grade, she had to play on the boys' teams so she could play at a competitive level. 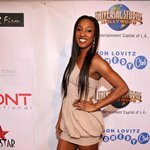 When her father Alan retired, he and his wife Angela, daughters Cassandra and Candice, and son Chris moved to San Diego, California. Wiggins' father died of AIDS soon after their move, when Wiggins was only 4 years old. " It was a scary time. No one would talk about it," Wiggins recalls. "A young girl wants to know about her Dad dying of AIDS. But it was taboo," she said. 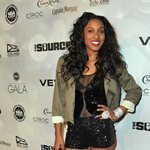 Wiggins has chosen to break the wall of silence about AIDS through a partnership with Until There’s A Cure (UTAC), a non-profit organization that raises awareness and funds to combat AIDS through the sale of The Bracelet. To date, the organization has raised over $9 million for vaccine development, care services, and youth education.